Meet the Aquatics Site Supervisors, Drew L’Ecuyer and Shyanne Martin! The J welcomes new Aquatics Site Supervisors, Shyanne Martin and Drew L’Ecuyer! Shyanne manages day-to-day pool operations at the Marilyn Fox Building in Chesterfield, while Drew manages the pools at the Staenberg Family Complex in Creve Coeur. Both Shyanne and Drew are excited to join the Aquatics team and take on their new roles. Both Shyanne and Drew found a passion for swimming at a young age. They love the water and love to watch others learn to love it, too. From their love for water came the strong desire to teach others how to swim and how to feel comfortable in the water. Shyanne and Drew were each lifeguards in their local neighborhoods and at water parks during their teenage years. Drew has been involved in water sports for more than eight years. She was active on the swim and water polo teams in high school, as well as at Lindenwood University. Drew is new to the J this summer, and she has never felt more at home at a facility. Shyanne received her lifeguard and swim lessons instructor certifications at 16 years old. She joined the J staff in the summer of 2015 after one of the J’s Aquatics Directors noticed her at her very own neighborhood pool as she taught swim lessons. Since 2015, Shyanne has remained a vital part of the J’s Aquatics Team. Drew and Shyanne’s initial desires to become swim instructors stemmed from several things with one commonality – the intent of teaching people a lifesaving skill by finding a home in the water. Shyanne and Drew accomplish this task by easing kids into the water and keeping them as comfortable as possible while encouraging them to improve. Afterward, they evaluate what worked or didn’t work for each individual and motivate them to work on what they didn’t understand. Shyanne and Drew believe that confidence is key, because when the lightbulb finally goes off in a swimmer’s brain, they couldn’t feel prouder knowing that they helped them get there. As Aquatics Site Supervisors, Shyanne and Drew get the best of both worlds. 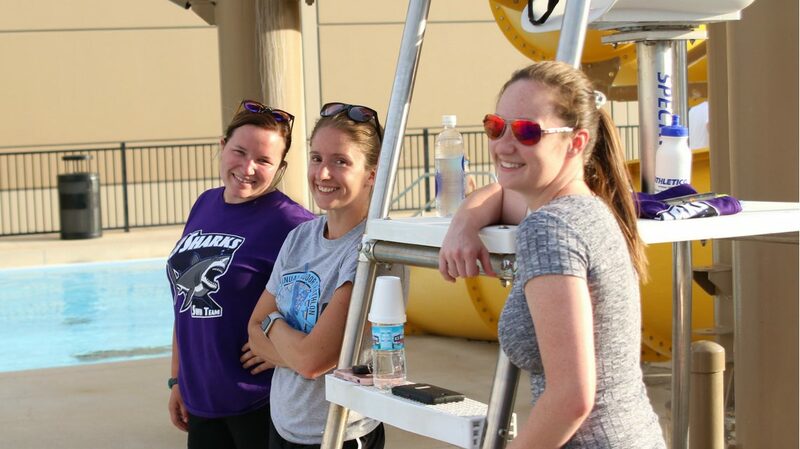 While they have the responsibility of overseeing the programs, classes and part-time lifeguards at each J, they can do what they love the most – use their passion for swimming to teach. Not only are they helping these swimmers become confident in the water, they are providing students a lifetime of skills and experiences. Shyanne and Drew oversee every swim class. From private to semi private, group lessons to aqua fitness classes, they will always make sure that children and adults are getting the highest quality instruction at the J. Dive in with Shyanne and Drew! Click here for more information on swim lessons and classes, or contact Shyanne and Drew.